UNITED NATIONS, Jul 5 2016 (IPS) - The response to the 2015-2016 severe El Nino – which has effected over 60 million people from Southern Africa, to South-East Asia to Latin America – remains severely underfunded. In a statement released Tuesday addressing the world’s leaders, the Elders urged governments to provide aid for the affected countries, and address a $2.5 billion gap. The Elders noted with concern that the current El Niño event is one of the strongest on record, causing over 60 million people worldwide to suffer from shortages of food and water – with Southern Africa experiencing its worst drought in 35 years. The Elders, are a group of some of the world’s most respected senior global leaders, including Kofi Annan, Desmond Tutu and Jimmy Carter. The group was founded in 2007 by Nelson Mandela to promote dialogue around the world’s most urgent global problems. “Dealing with slow onset climate disasters is a matter of political will, and we cannot continue to do too little too late,” -- Rebecca Sutton, Oxfam. “Extreme weather events hit the poorest communities – those least responsible for climate change – the hardest. Significantly increased funding is thus essential to build resilience and protect the most vulnerable,” they said. The Elders not the only ones to express concern over the lack of awareness regarding the 2015-2016 El Niño. The phenomenon describes a heating-up of the Eastern Pacific and consequent extreme weather changes like cyclones, droughts and torrential rain in the Southern Hemisphere. As the phenomenon is not cyclical, many states were ill-prepared. Sutton also showed concern about the lack of media attention in countries not affected by El Niño. 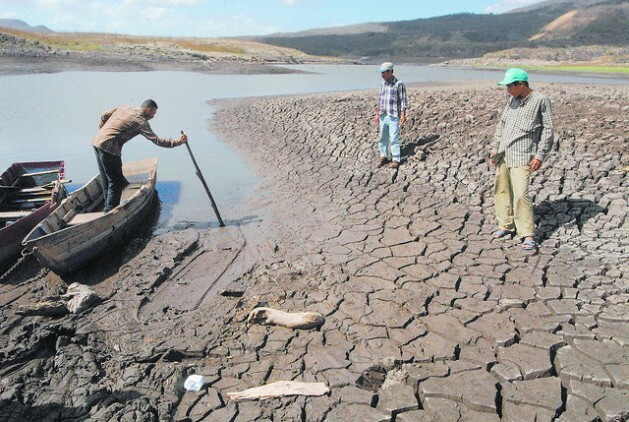 Thus, aid for victims of El Niño is not a priority on the political agenda, including of European countries. “Dealing with slow onset climate disasters is a matter of political will, and we cannot continue to do too little too late,” said Sutton. Three regions are in particular danger in the aftermath of this severe El Niño: Latin America, Southern Africa and the Pacific islands. Last month’s report of the UN Office for Coordination of Humanitarian Affairs (OCHA) stated that in El Salvador, Guatemala and Honduras, droughts destroyed much of this year’s harvest and have left three million people in food insecurity. In the Asia-Pacific region, small island states like Vanuatu and South East Asian countries like Vietnam are experiencing serious water shortages. In addition, last year’s unusually severe wildfires destroyed forests and exhausted a lot of financial resources, particularly in Indonesia. Although the 2015-2016 El Niño is now officially over, its aftermath is still being felt, with many countries facing droughts and humanitarian crises. Many experts and the Elders are sure that man-made climate change amplifies the effects of El Niño. However scientists are still working to determine the exact nature of the relationship between El Niño and climate change. El Niño’s and their sister weather event, La Nina become more frequent and severe, and their effects are exacerbated by rising global temperatures. For now, the Elders and others have set their hopes in the next High-Level Political Forum at the UN starting next week and the next UN climate conference in Morocco this November.